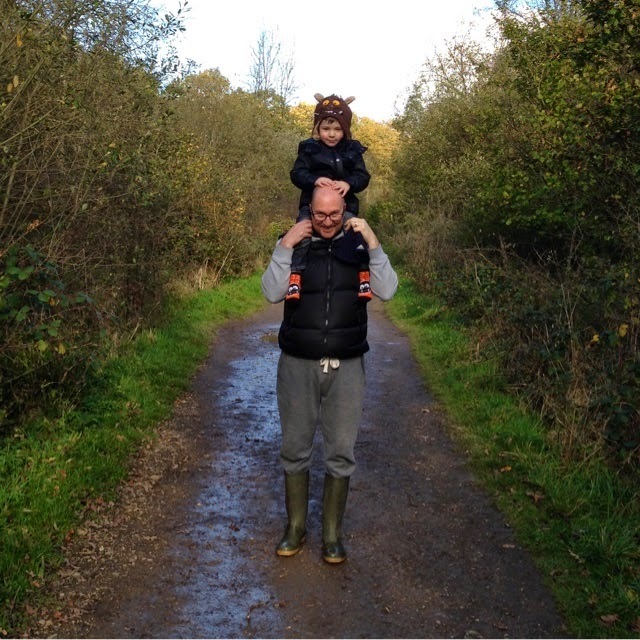 We love to get out in the fresh air at the weekend, it's something which is cheap for us to do as a family, we always have fun and it gets us outdoors in the fresh air! A few weekends ago we headed out for brunch at our favourite family restaurant followed by a nice long woodland walk. 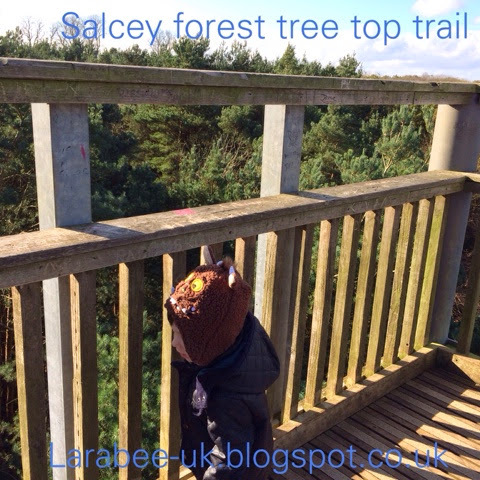 Salcey Forest is right in the middle of where we live and where The Hubs is from, so it's somewhere we've both been visiting for many years. Parking is £1 an hour or £3 for the whole day, it's a lovely place to take dogs, in fact, it was the first place I took my beloved dog Taz when he was first allowed out for a walk so it holds wonderful memories for me. 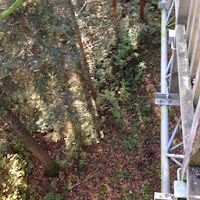 The tree top way is 15 meters above the ground and there's a 'crows nest' at the top which takes you to 20 meters, high enough to over look the entire forest and over all the trees. 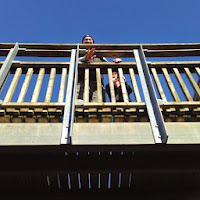 I can't make it up to the crows nest as I don't really have a head for heights, but T and The Hubs went up. 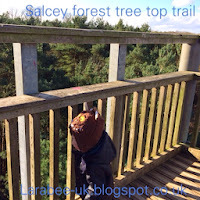 Dogs are welcome on the tree top trail and it's also pushchair and wheelchair friendly. It's a lovely place to visit, especially on a sunny autumn morning. It was a particularly beautiful morning as we headed out, this was the first time that we didn't take a pushchair for T, to be honest I can't even remember the last time we used it! Part way round he did need a bit of help, so he went up onto Daddy's shoulders. Of course we managed to find some muddy puddles for the gruffalo child to jump in. 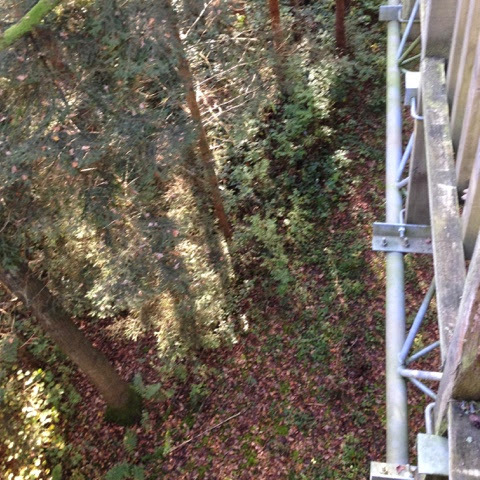 Oh my word that is a long way down from the top of the trees and must be quite a climb to get up too! I bet the views are spectacular. 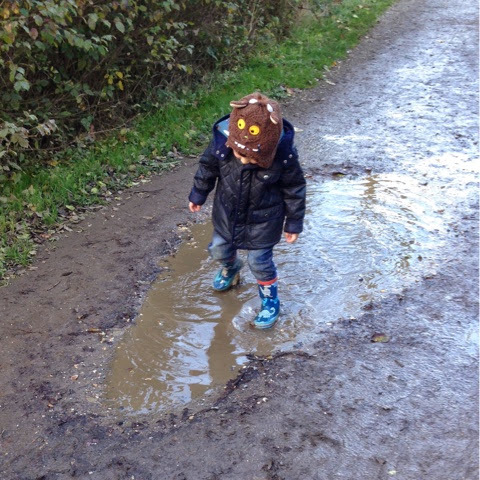 That's a fine puddle your little adventurer found at the end, thank goodness for welly boots! a lovely place for a walk and great value too. thank you for sharing with me on Country Kids. Wow! 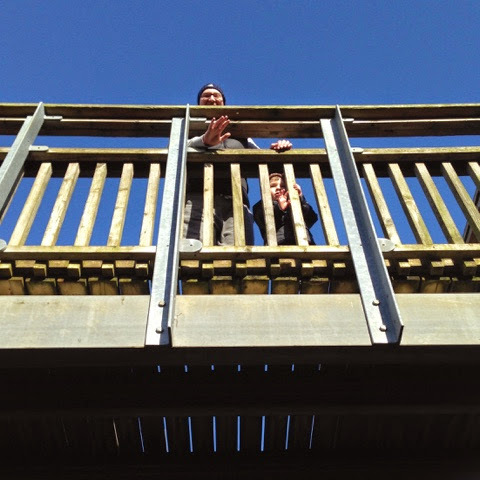 That must be a great view from the top of the Crow's nest. The walk way sounds like an excellent place to visit, I love walk ways and boardwalks, makes nature more accessible to others. Love the little grufalo jumping in puddles too!